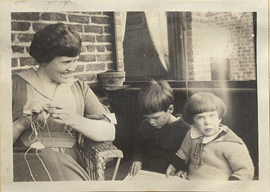 Helen Kermott Penfield knitting beside Wilder Jr. and Ruth Mary, photograph. 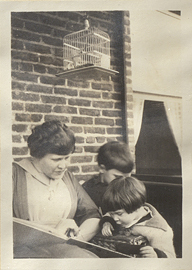 Helen Kermott Penfield reading to Wilder Jr. and Ruth Mary, photograph. 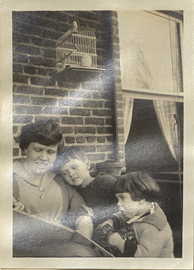 Helen Kermott Penfield showing Wilder Jr. and Ruth Mary a book, photograph. 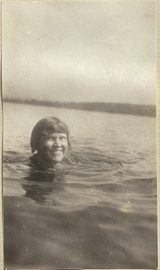 Helen Kermott Penfield swimming, photograph. 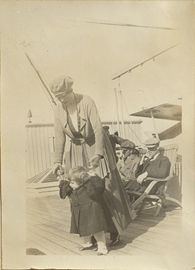 Helen Kermott Penfield walking with Wilder Penfield Jr. on the deck of the S.S. Winfredian, photograph. 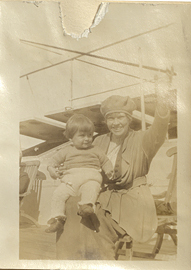 Helen Kermott Penfield waves at the camera with Wilder Penfield Jr. on her lap, photograph. 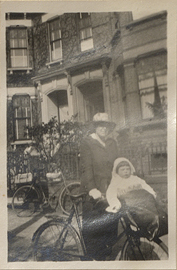 Helen Kermott Penfield with Penfield Child on Bicycle, photograph. 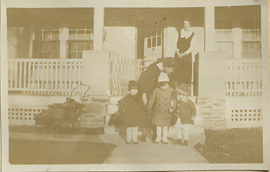 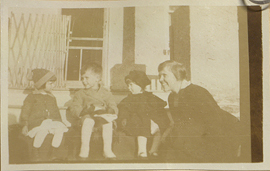 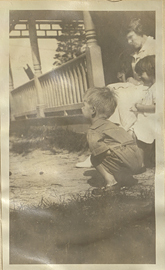 Helen Kermott Penfield with the Penfield Children and Hazel Bazett, photograph. 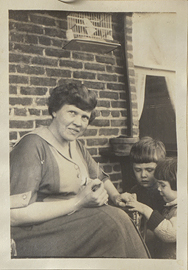 Helen Kermott Penfield with Three Children, photograph. 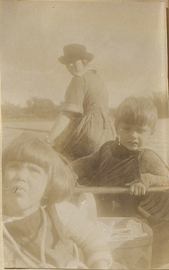 Helen Kermott Penfield with Wilder Jr. and Ruth Mary in a canoe, photograph. 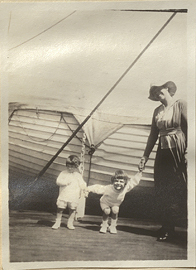 Helen Kermott Penfield with Wilder Penfield Jr. and Ruth Mary in front of a lifeboat, photograph. 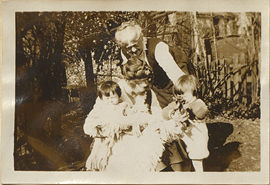 Helen Kermott Penfield with Wilder Penfield Jr. and Ruth Mary Penfield, photograph. 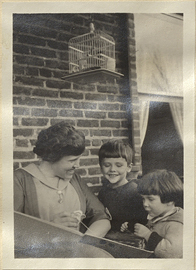 Helen Kermott Penfield, Jean Penfield, Wilder Jr., Ruth Mary, photograph.